From August up to and including October OPIDIN predicts the height and timing of the maximum flood in the Inner Niger Delta (FLOOD FORECAST) and gives a map of the flooding of the delta at the peak of the flood (FLOOD VIEWER). The flooding of the Inner Niger Delta depends on the river flow of the Niger and Bani Rivers, which in turn depend on the rainfall in the Upper Niger Basin. OPIDIN provides regularly updated information on recent rainfall in the Upper Niger Basin and a rainfall forecast, all based on satellite information. In this section background information is given on OPIDIN. A snapshot of examples of the application of OPIDIN is given, and how it serves as Early Warning System. Next we provide information on how communities in the delta adapted to water management in the past as well as a snapshot of examples of OPIDIN as Early Warning System. This section also contains the technical background of the tool. The annual peak and extent of flooding is essential to the communities in the delta. Communication is done via the current website and weekly bulletins. These bulletins are used by radio stations in the Inner Niger Delta, broadcasting in several languages. They inform about the situation of the flood and the prediction for the coming weeks during the period August-November. In the framework of the BAMGIRE programme an workshop on OPIDIN was organised at Altenburg & Wymenga, based in The Netherlands, from 12 to 16 November 2018, targeted at the transfer of the tool to la Direction Nationale de l'Hydraulique du Mali. This is the last bulletin of the flooding season. The height of the flood is exceptionally high this year. 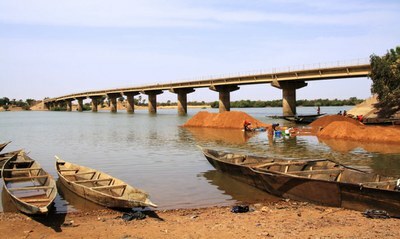 The water level in Mopti has reached its maximum of 670 cm on the 25th of October. The height of the flood is exceptionally high this year. 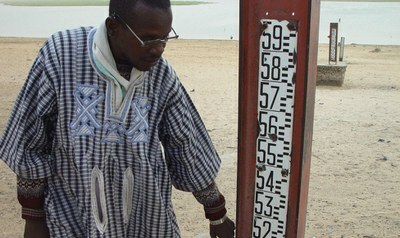 The water level in Mopti on the 24th October was 670 cm, the highest level since 1969. 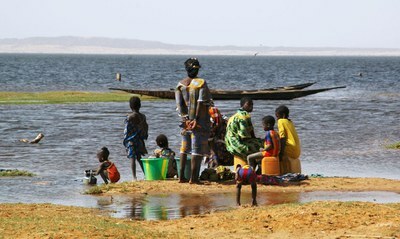 The water level in Mopti showed still a small increase last week. The water level in Mopti is now 119 cm higher than the peak last year (551 cm, reached on 22 September). Based on the information available on 24th October, OPIDIN predicts a peak which is higher than 2016. It is expected that the peak is nearly reached now as the flood peak passed Bamako already. OPIDIN has been developed through close cooperation between the Direction Nationale de l'Hydraulique, Wetlands International Mali and Altenburg & Wymenga ecological consultants, with the support of the Dutch embassy in Mali.